For more information about planning for Hill Day, including information and advice about travel, lodgings, discounts, and things to do, check out my first post here. This picture of the first and second year students from my program was featured on AOTA’s Facebook page when they achieved their advocacy goal after Hill Day! I had a great time last week at AOTA’s 2014 Hill Day, and I’ve finally found a moment to write up the second half of my blog post about the weekend we spent on Capitol Hill! Here are the rest of the conclusions I came to after actually attending Hill Day, for the reference of all future attendees! Dress like you mean it. While it’s not necessary to buy a brand new business suit for the occasion, Hill Day is all about making an impression. And you want it to be a great impression! So no flip-flops, short skirts, cleavage-baring tops, exposed midriffs, etc. It seems like this should go without saying, but not all of the (mostly students, but some others as well!) attendees seemed to have gotten that memo. Dress in business casual clothing, at least. For real, wear comfortable shoes. Riding the metro, walking across the Hill and traveling around town is super tiring! For your sake and the sake of those who will be dragging you and your bloodied feet back home if you decide to wear your brand new loafers or unbroken-in Louboutins, definitely wear shoes you can walk in. Be prepared, but also be flexible. I went into the office with our representative’s assistant all ready to direct the conversation and deliver my super amazing elevator speech, but when I asked if she knew what occupational therapy was, the woman said, “Oh yes! I spoke with you guys last year!” and proceeded to speak candidly and knowledgeably on all the topics we planned to address. Womp womp. Still, I had to go with the flow, even if it meant not using my speech and taking my turn. Develop and practice your “What is OT” elevator speech, even if you don’t plan to use it. While I was hanging out with my classmates on the Sunday before Hill Day, I called up a friend who lives in D.C. and asked her to hang out with us since I don’t get to the capital very often! When we finally got together, I had to explain what we were doing. After my spiel about the important of political advocacy and AOTA Hill Day, my friend says, “So…if, hypothetically…I didn’t know what occupational therapy was…” and looks to me to provide a definition of our my profession. Little did I know that I would be using my elevator speech to describe my profession to a good friend, but there I was!The moral of the story is, be prepared to speak briefly, clearly and purposefully about occupational therapy to anybody you might encounter while you’re on the Hill – you never know who you’ll see and you’ll want to be prepared! Hill Day is great practice for advocating to the “big dogs,” but it’s important – maybe more so – to be able to inform “laymen” as well. Present what you learned. When you return from all of the exhausting Hill Day activities, make it a point to inform your classmates and other students in the program about what you did! The rush my classmates and I got from going to D.C. was amazing, but not everybody in a program will be able to go. 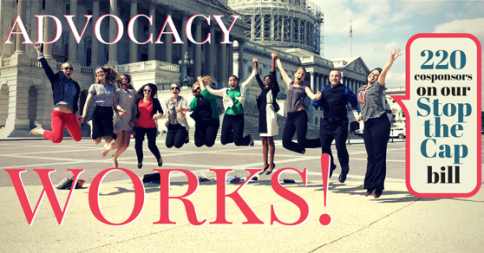 So take good notes, make a brief presentation or prepare a short speech, and spread the word about why advocacy matters and what Hill Day is doing for the profession and the people we serve! If this link is no longer working, just Google “AOTA Virtual Hill Day” to find everything you need to advocate from the comfort of your own home! Hill Day was an amazing, empowering experience that helped me bond with my classmates, learn more about the political process and ultimately deepen my understanding of the many ways in which occupational therapists work to serve the public and the greater good. 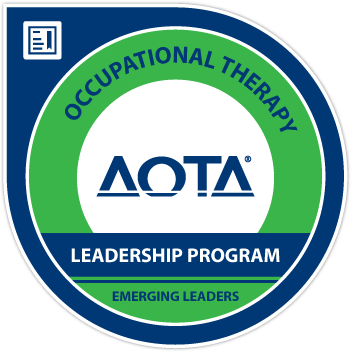 Ultimately, AOTA achieved their goal for sponsors of the bill, and you can read about this great success here! I definitely hope to attend again next year, and I hope anybody who went this year learned as much and had as great a time as I did! 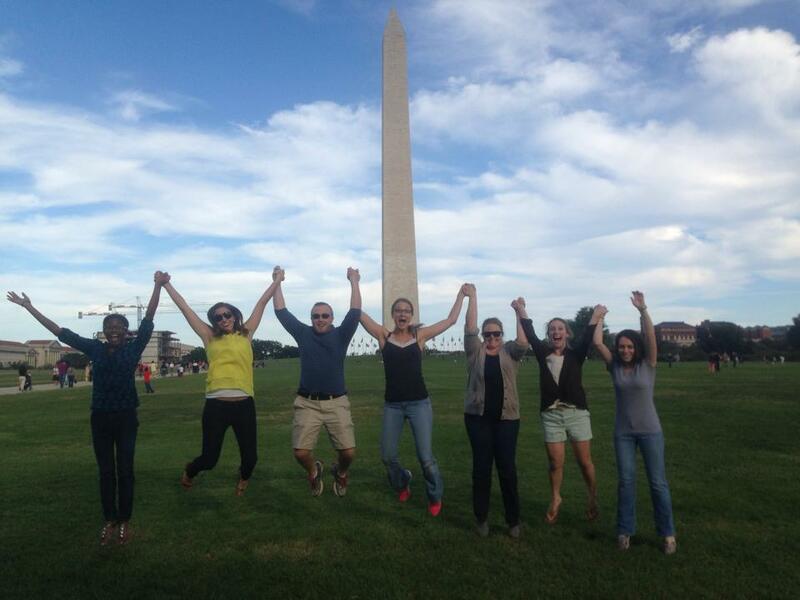 Have you ever been to D.C. for Hill Day? Do you have any advice for veteran or new Hill Day attendees? Career Development, Occupational Therapy Schooladvocacy, AOTA, D.C., education, Hill Day, legislation, occupational therapy, politics, professional development, travel, Virtual Hill Day, Washington D.C.
It’s Sunday night in DC, and I’m sitting here in my hotel room anxiously awaiting Monday morning. Why, you ask? Because tomorrow morning I’ll be sitting in my senator’s office, giving my one-minute elevator speech about OT and asking for his support for legislation that will benefit occupational therapy practitioners and clients! In essence, OT Hill Day is very important day for political action, education and advocacy and it involves hundreds of OT students, supporters and practitioners from across the country. On one day, we all descend upon the capital and attend meetings with state representatives to encourage their support of various bills, amendments and laws that are related to occupational therapy practice. Two of this year’s major issues are the Medicare therapy cap and occupational therapy’s inclusion in the recent Excellence in Mental Health Act, both of which my classmates, colleagues and I will be addressing during our meetings. In this post, I’ve written several tips that anyone interested in attending Hill Day in the future might find helpful. Most of my tips are geared toward students, but perhaps seasoned practitioners or others who have never attended a Hill Day event will find them useful as well. Riding up with my classmates was not only a great way to cut the cost of gas, but to get to know everybody! We do spend a lot of time in class together, but I have certainly gotten to know my classmates on a much more personal level after spending 4-6 hours in a car with them. Some schools may also let you rent a van to drive groups to various events. If this is something you might need to do, start the process EARLY and carefully consider whether or not you will actually save. Ask your department for help. Our department is very generously providing $600 for our group of students to stay and eat in D.C. There are 11 of us altogether, so this doesn’t cover the cost of everything, but it definitely helps! Talk with your department director, graduate funding office, or other resources to see if money is available for students traveling to conferences, events, etc. Additionally, try searching your school’s website for travel funding or grants that you can apply to the cost of your trip. Check Groupon or LivingSocial for savings on hotels, meals, travel and attractions. Before your trip, take a while to peruse these websites for deals. We booked our hotel through Groupon and got free parking and wifi included when it would have cost us extra to access these services with a regular reservation. Staying outside the city (in places like Arlington or Alexandria, for example) is MUCH cheaper than staying in hotels in D.C. Book these places first! Consider staying with local friends and family. Instead of getting a hotel room for several nights, ask if you can stay with friends and family who live close to D.C. If you do stay, they might also appreciate a small thank you card or gift when you leave. Take advantage of free things! Why pay to go to a show or attraction when D.C. has plenty of amazing free museums, events and things to do? Just look up a city guide or check out the website to find hundreds of free things to occupy your time. Plan ahead for meals. My classmates packed a large cooler and bags full of portable, filling snacks like nuts, granola bars, rice cakes and fruit that they could eat during the day so they weren’t constantly spending money on food. They even packed pre-made sandwiches and snack baggies for lunch during our daily outings! Not purchasing lunch at expensive food carts, attraction restaurants or chain restaurants saved us a great deal during the 3 days we were in D.C.
Do your homework. Make sure you take some time as a group or on your own to research your representatives and learn about their stances on the issues you’ll be discussing with them. Being prepared means that you can be less nervous! Check, re-check and DOUBLE CHECK your itinerary! We received multiple emails from AOTA and the Hill Day organizers detailing our daily schedules and when our meetings with our representatives would take place. But just three days before Hill Day happened, we got a revision of our meeting schedule that added another visit to our list. Check your email frequently, and be sure you know what to expect for your day on the Hill. Ask your department leaders if you can briefly present about your experiences upon your return. As a Hill Day participant, you have a lot of valuable information that your classmates who were unable to attend may not be able to get from anywhere else. For example, you can describe what it was like in the meetings, what you would do differently in the future and things you enjoyed about your day spent advocating for OT in D.C.! If you can, take notes during your day to keep your commentary fresh in your mind. Designate a trip photographer or two. Virtually everybody has a smart phone nowadays, so elect one or two people from your group to be the official photographers. Taking pictures of your group for posterity can be a great way to advertise your program, advocate for occupational therapy and remember the great time you had! I hope these tips are useful and that you can save a few dollars and have a better time in D.C. as a result of my advice. I’m currently off to bed to get ready for a long day tomorrow, but I’ll be back soon with a post-Hill Day post chronicling my grand adventure on the Hill! Have you ever participated in AOTA Hill Day or other political advocacy efforts? Do you have any advice for talking to legislators?